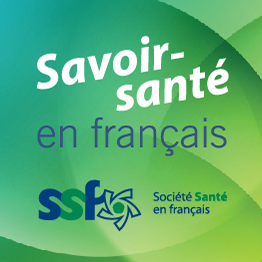 The Bonjour/Hello program is a series of tools that allows people working in the health field to inform their patients/clients that they can serve them in French. By wearing a pin or displaying the Bonjour/Hello logo in their workplace, health care professionals are showing their commitment to meeting their patients/clients’ needs and offering safe, quality, patient-centred services. A number of tools bearing the logo, including pins, posters, stickers for windows, desktop signs and small stickers, among others, are available free-of-charge. 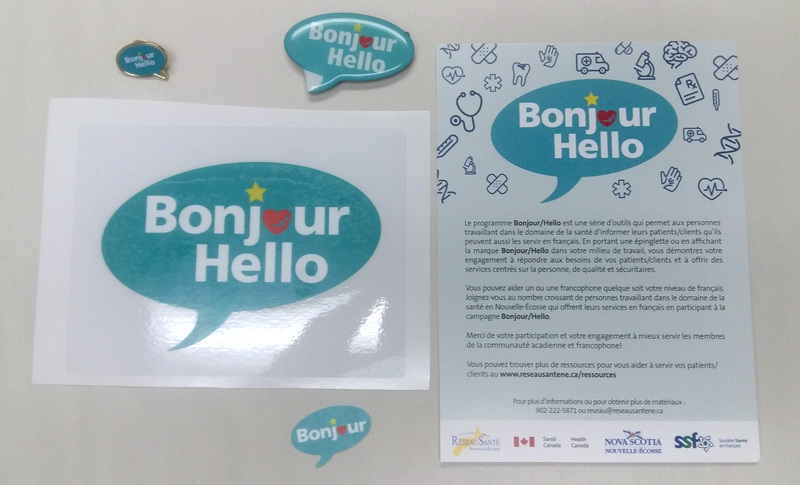 The Bonjour-Hello tools can be ordered free-of-charge by people working in the health field by contacting the regional coordinator at Réseau Santé who is responsible for their region of Nova Scotia. If you are an employee of the Nova Scotia Health Authority or the IWK Health Centre, you can make use of the Government of Nova Scotia’s Bonjour! program.